Emirates has introduced new sustainable blankets made from 100% recycled plastic bottles. The soft and warm blankets are made using ecoTHREAD™ patented technology and is now available in Economy Class on all long-haul Emirates flights. Each Emirates ecoTHREAD™ blanket is made from 28 recycled plastic bottles. With the latest innovation, the bottles are recycled into plastic chips before being turned into yarn. The fine thread is then woven into soft blankets. 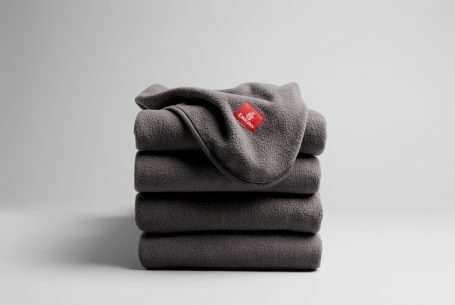 The environmentally-friendly blankets were designed in partnership with Buzz, the world’s leading inflight product specialists, and are part of Emirates’ continued commitment to product innovation and sustainability. Emirates already runs a green programme on board recycling aluminum cans, plastic and glass bottles, and clean paper products such as newspapers, magazines and cardboard cartons where possible. By the end of 2019, Emirates ecoTHREAD™ blankets would have rescued 88 million plastic bottles from landfills– equivalent to the weight of 44 A380 aircraft. This initiative makes it the largest sustainable blanket programme on board in the airline industry. In addition, the manufacturing process of using recycled polyethylene terephthalate (PET) reduces energy emissions by 70%. ecoTHREAD™ is certified with the Intertek Green Leaf Mark by third party testing and certification body Intertek, independently verified to use 100% recycled materials. The Emirates ecoTHREAD™ blanket for Economy Class completes the recent comforter overhaul across all three classes. The airline introduced a plush, faux sheep-skin blanket in First Class and soft duvets in Business Class. In the last year, Emirates has added several new products for customers travelling in Economy including the world’s first interactive amenity kits. The amenity kits – filled with necessities such as an eye mask, earplugs, toothbrush and toothpaste, and socks – uses augmented reality technology to unlock entertainment on customers’ mobile devices using the Blippar app. The content was refreshed last month to feature a new interactive game called The Emirates Destination Dash to keep customers’ busy on long-haul flights or on the ground. Emirates Economy Class cabins are also equipped with the largest in-seat screens in the world in Economy at 13.3 inches and more than 2,500 channels of on-demand entertainment on the award-winning inflight entertainment system, ice Digital Widescreen.